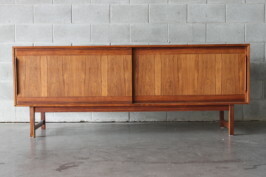 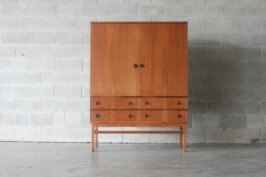 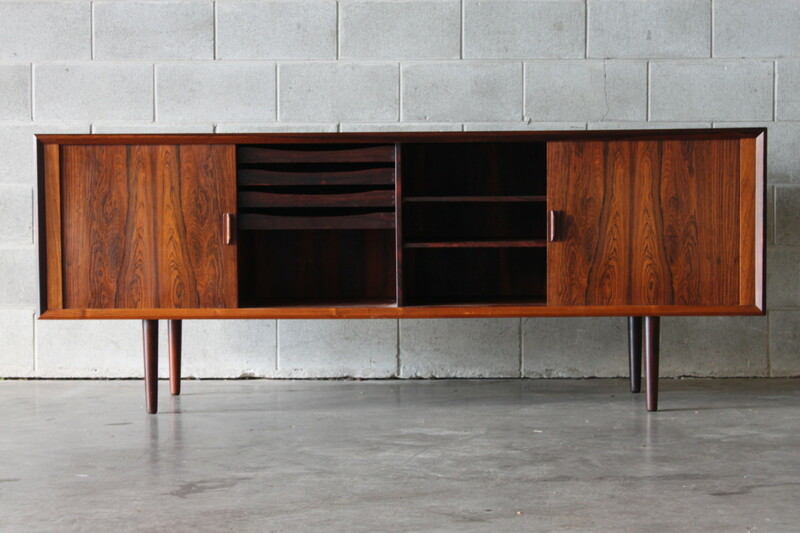 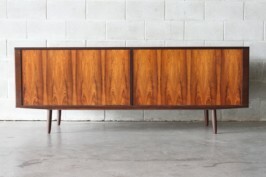 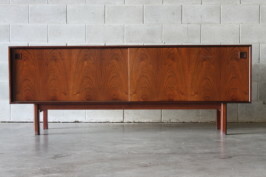 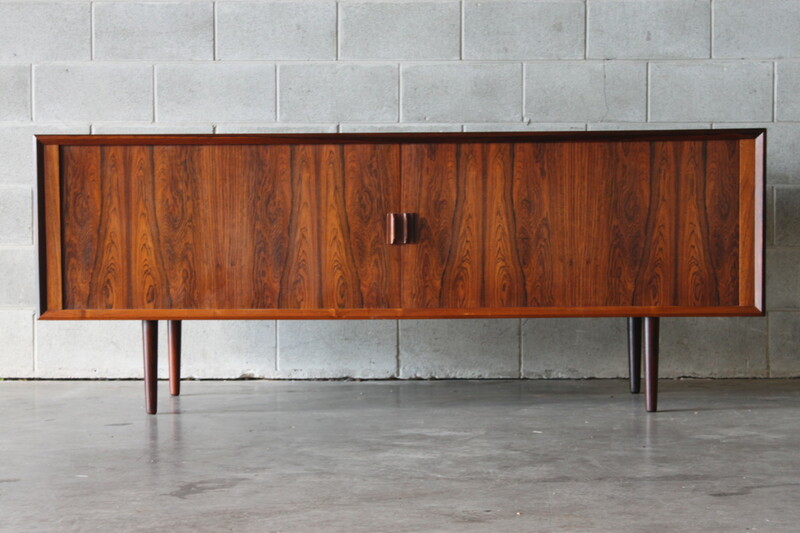 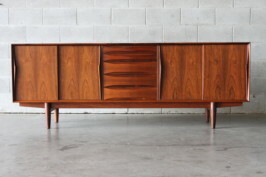 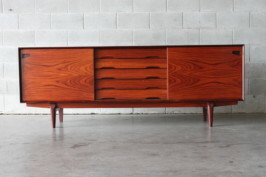 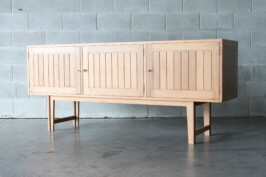 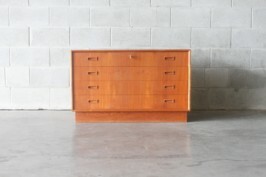 A deluxe tambour door sideboard by Svend Aage Larsen. 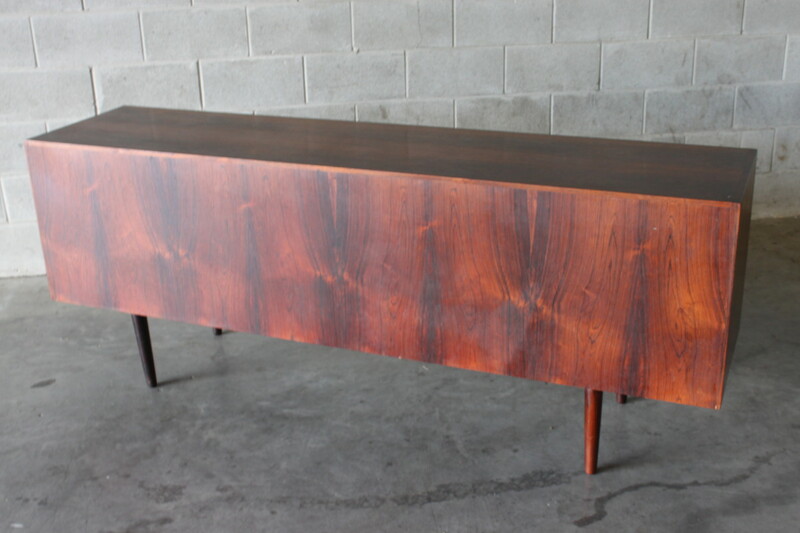 It is made of highly figured Brazilian Rosewood and is a well balanced piece on slim solid rosewood legs. 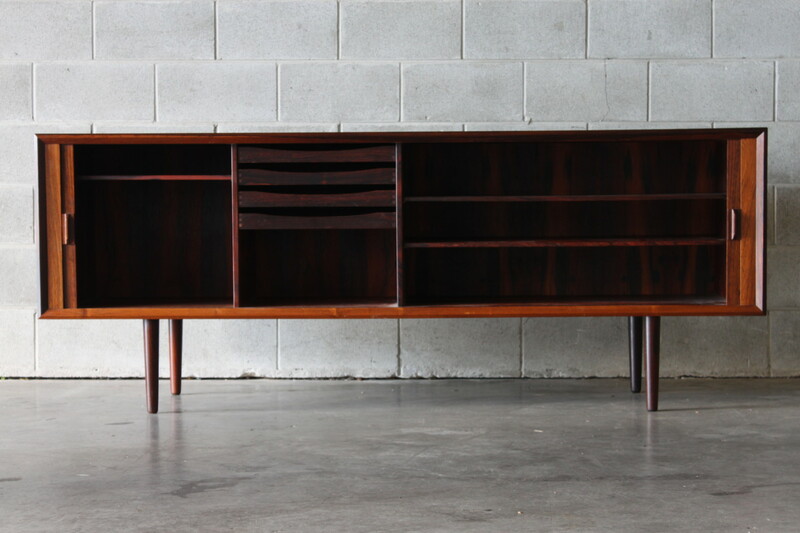 Inside the sideboard there are four slide out trays and plenty of adjustable shelving. 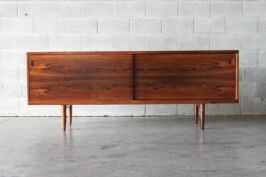 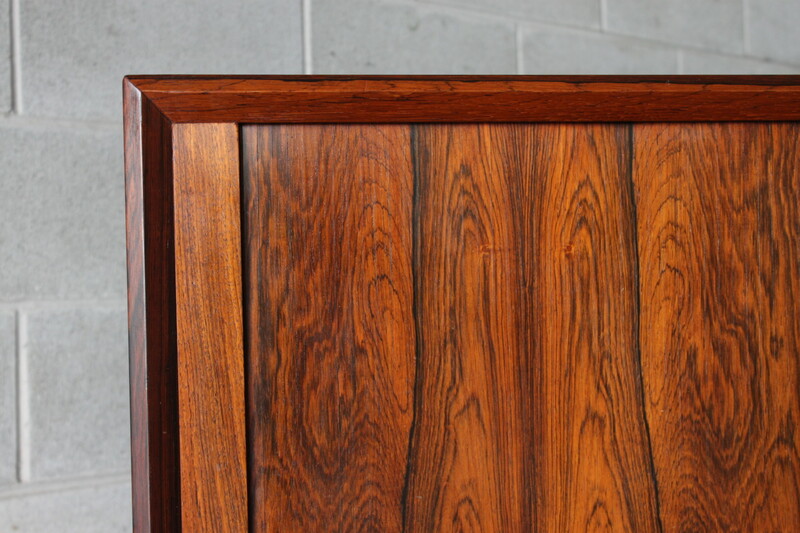 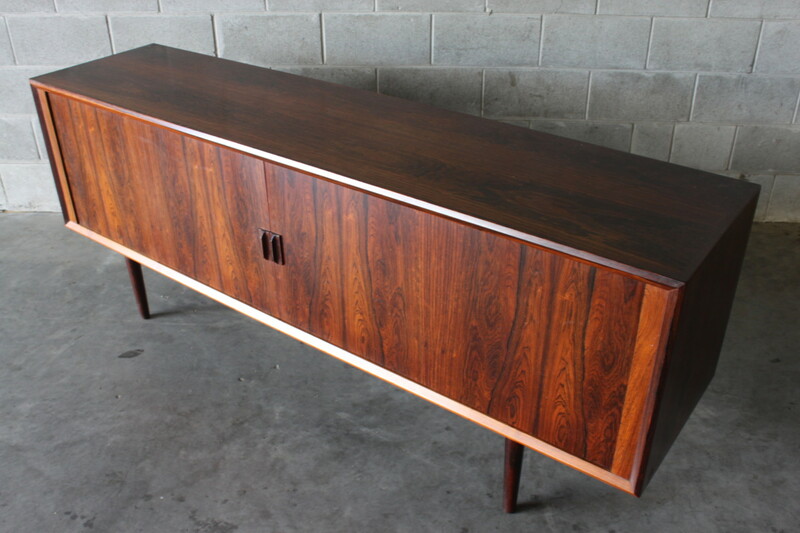 The internals have also been finished in Rosewood as well as the trays, shelving and even the rear of the sideboard. 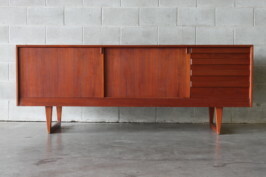 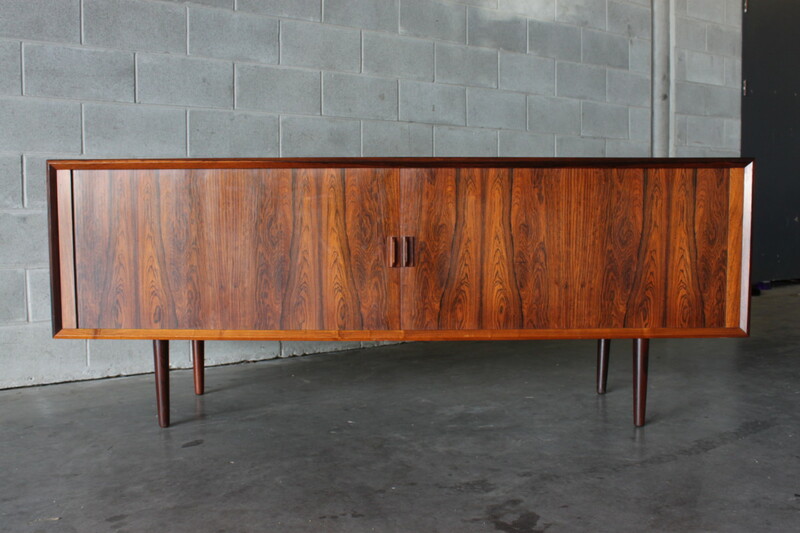 This would have been a high end sideboard when it was manufactured with only a few examples around the whole world making this a great investment piece.